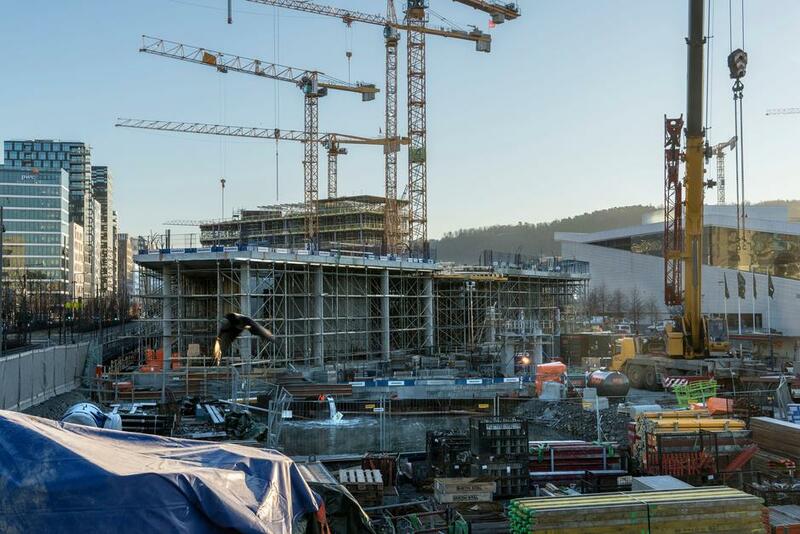 Through a smart and innovative procurement strategy, the City of Oslo reduces climate gas emissions at construction sites and stimulates technological change in the market. Traditionally diesel driven machinery and equipment are replaced with fossil free alternatives. 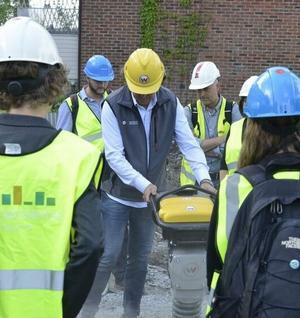 (Photo: Bellona)To reduce climate gas emissions at its construction sites, the City of Oslo engaged in a dialogue with suppliers. Upon knowing the technology already available, the city was able to establish a zero-emissions standard in the tender documents, an even higher standard than initially expected. Four kindergartens and two sports arenas are currently under construction in accordance with the new standard. This means that diesel driven machinery and equipment are replaced with fossil free alternatives. Even though not all machinery is available as fully electrical, the market is quickly adapting and developing new solutions. The lesson is that by setting standards, public developers can influence change in the market. Today, construction machinery accounts for 30 per cent of Oslo’s traffic emissions. In addition, heating/drying and traffic to and from the construction sites, are contributing both to local emissions as well as climate gas emissions. The City has a goal of reducing climate gas emissions by 95 per cent by 2030, and of reducing the use of fossil fuel to zero by that same year. The City Council has adopted fossil free construction sites as minimum criteria in all of its public procurement procedures from 2017. As a major developer and owner of buildings, the City of Oslo can significantly reduce city-wide emissions.